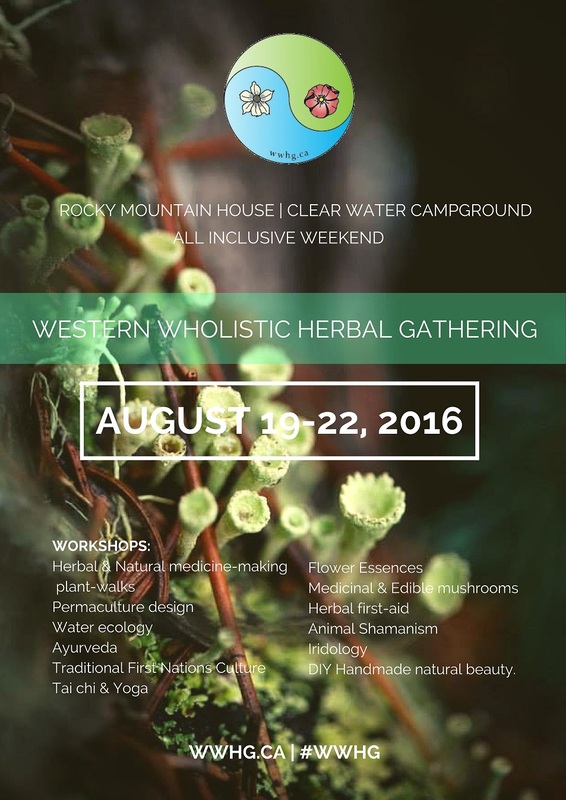 The WWHG is a collective of inspired experts on Natural Health, Sustainability, Permaculture and Traditional Knowledge, serving up a weekend of fun and learning in the poplar forests of Rocky Mountain House! Tickets are still on Early-bird special until June 10th, 2016 for the low price of $195 for the whole weekend! Fresh organic, vegan option GF food is included in ticket price. There is even special programming for the kids! Please check out www.wwhg.ca for more info and to get your tickets today.